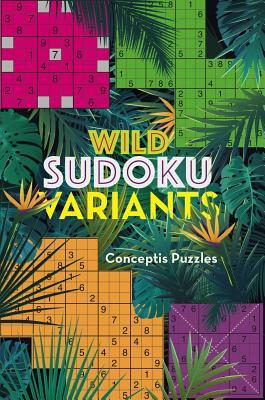 Sudoku took the puzzle world by storm, but some fans have grown a bit bored with the constant repetition of 1 through 9 and 3 3 boxes. With variations such as overlapping and oversize grids, diagonals, shaded squares, and more, these puzzles bend the rules and bring something new to the game. Each gem is like a crazy cousin of standard sudoku--and solvers will be overjoyed to join the family reunion. Conceptis Ltd. is the leading number-logic and picture-logic puzzle supplier to magazine, newspaper, book, mobile, game console, and board game providers all over the world. Every day, more than 10 million pages with Conceptis puzzles are printed in 40 countries worldwide. Conceptis cooperates with distributors in Korea, Russia, Poland, Brazil, and China.